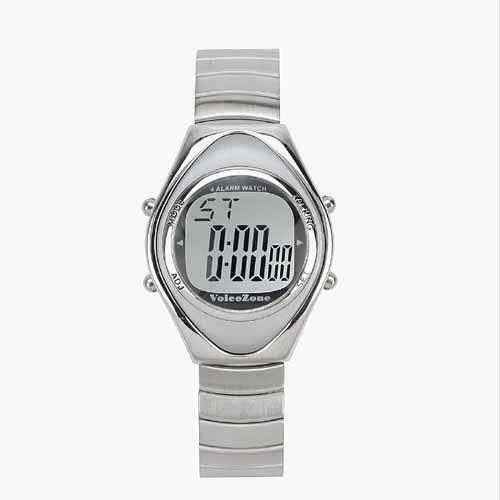 Chrome talking watch with a large digital display and stopwatch function. Click here to hear the watch speak. . Then click "Back" to return to this page.